For a few years now Mt. 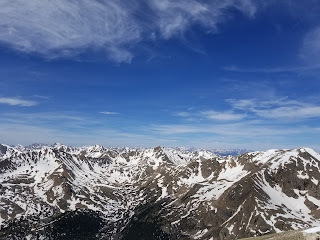 Massive had been rising up my list of 14ers that I wished to return to. 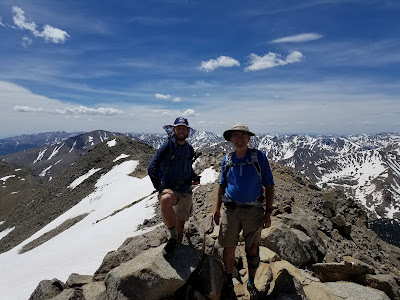 Most of the 14ers that we did in the 90's are in this growing time frame of 20+ years since we were there. They also fit the bill of hikes that, in my teens, I just didn't remember well due to teenage "lack of focus". I'd been looking for the right opportunity to return to Massive and had begun researching all the most enjoyable options. I'd read a few reports, even started researching a particular track of a full Mount Massive Traverse. This would be an epic long day. It would follow the east slopes route up to the summit ridge, would summit South Massive, then head to the main peak and then North Massive with a decent off the north side of the mountain. Maybe a trip for another day, but not this day. During my trip to help my parents move out to Colorado I had two free days with the goal of some great hiking. The first day I would hike with my father so we picked out a route that would suit us both. 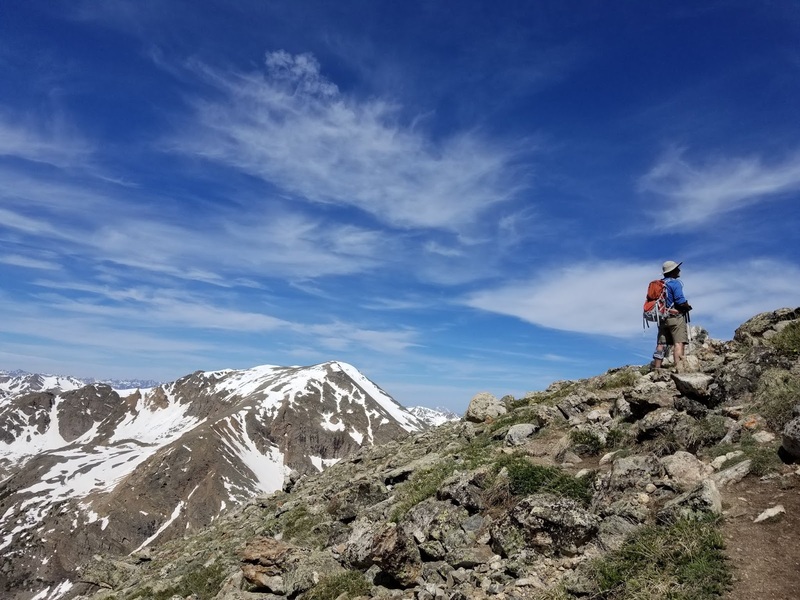 In considering Massive we decided it would be a great idea to try the southwest slopes route which would offer a shorter distance and a different vantage on the mountain. 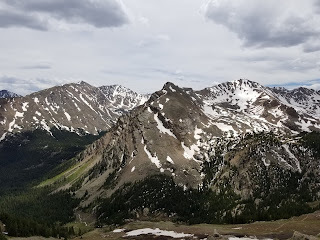 When we hiked Massive in 1996 we took the standard route from the Colorado Trail. Our best memory of it was that it was a long day. The southwest slopes route would be much less mileage, just steep. We made the drive up the Halfmoon Creek road and saw a number of folks camping and already a number of cars at the Mt. 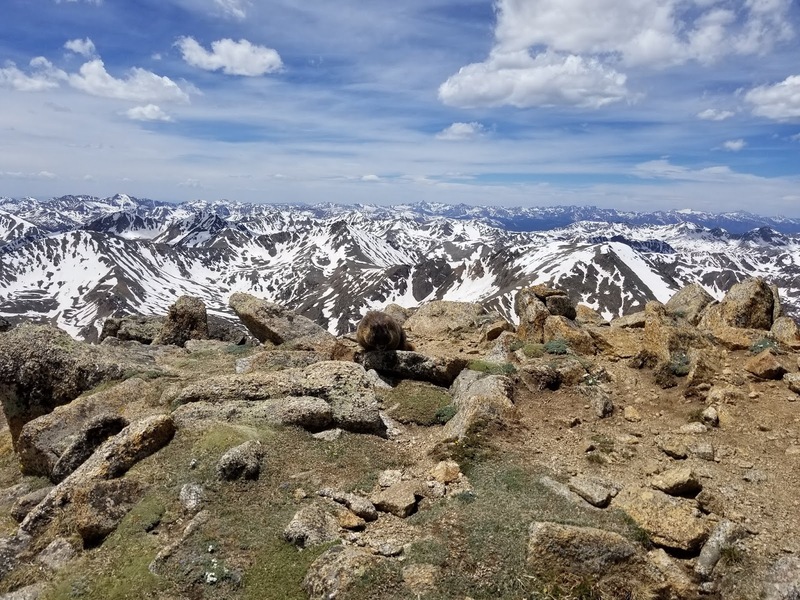 Elbert trailhead. The standard Massive trailhead also had a small handful of cars. The 2-mile road beyond that point was rougher, though the first mile and 3/4 wasn't too bad. There was a difficult section beginning that last 1/4 mile that nearly had us flipping on the 4WD. It was 7:30a when we reached the North Halfmoon Creek trailhead and we had it to ourselves. The road beyond was blocked by a very heavy stream crossing. 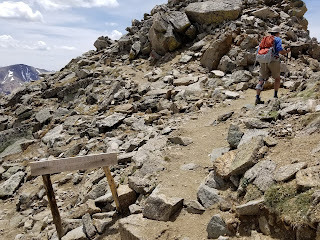 The initial trail was easy to find and follow from the trailhead. 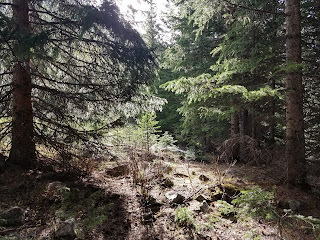 It was delightful hiking in the woods and had a very modest gain to it. It gains only 600 feet in the first mile and a half. 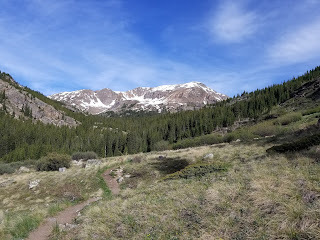 At about 1.2 miles in the trail begins to leave the trees into a meadow and the views open up wonderfully. We truly enjoyed this initially hiking and the warm-up it would be for the rest of the route. At 1.5 miles in we encountered a well-marked trail junction. To continue straight ahead would be to follow the trail on to North Halfmoon Lakes. 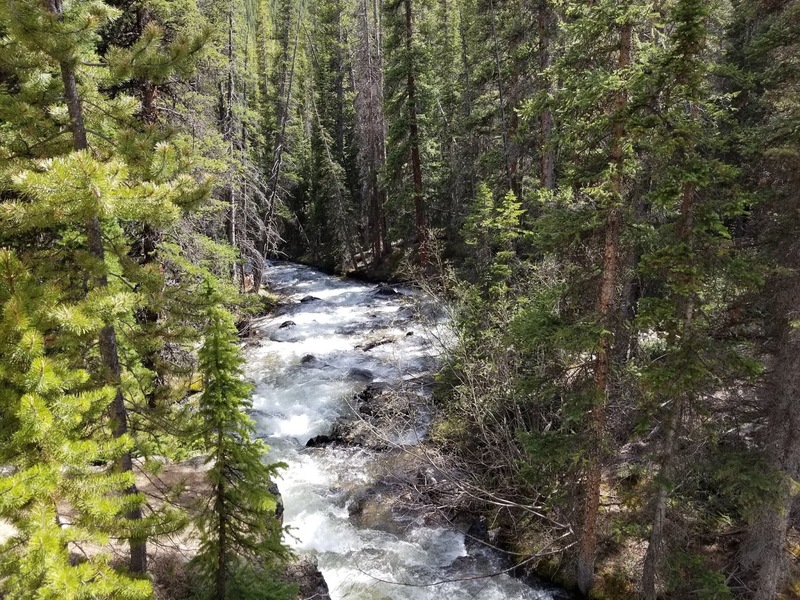 I would imagine that to be a most scenic trail and a fine choice for another day. A sharp right up the hill was the Massive southwest slopes route. From that turn onward would be one steady uphill grunt. 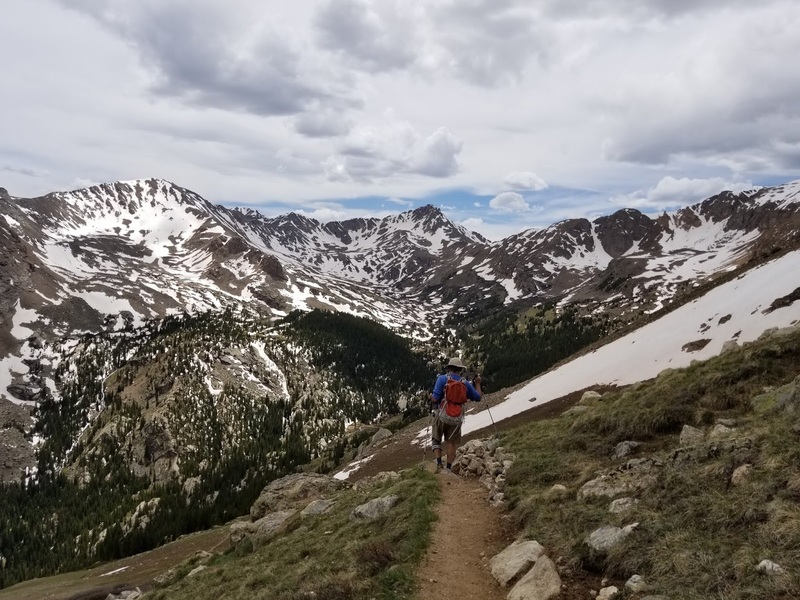 Roughly 3300 feet elevation gain over 2.5 miles which is well above the more "normal" 1000 feet per mile gain of many trails. 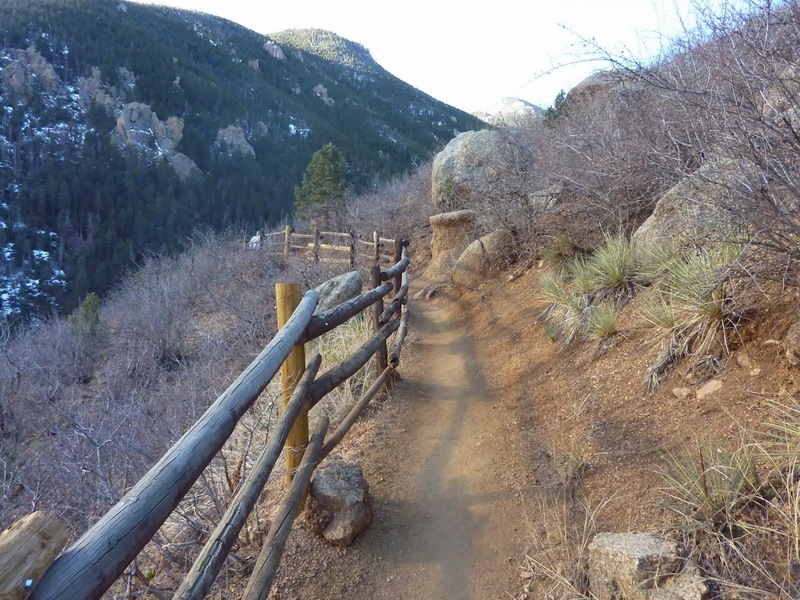 The route gained quickly up a hillside and through a section of trails and then into a boulderfield. It would seem the trail was gone as the dirt disappears. A keen eye, however, will see the route now in the form of a rock staircase. 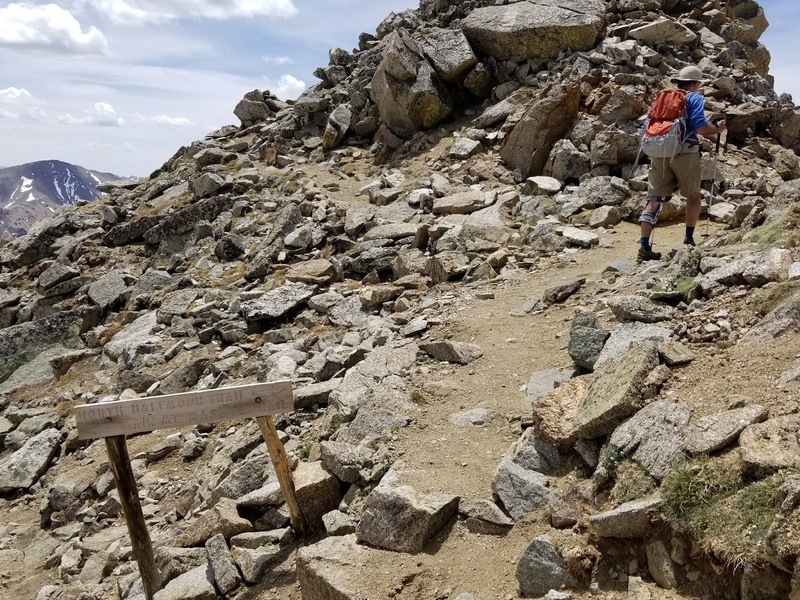 Someone has spent an impressive amount of time building steps and paths into the boulderfield for a more than reasonable climb through what would otherwise me a mind-maddening boulder scramble. 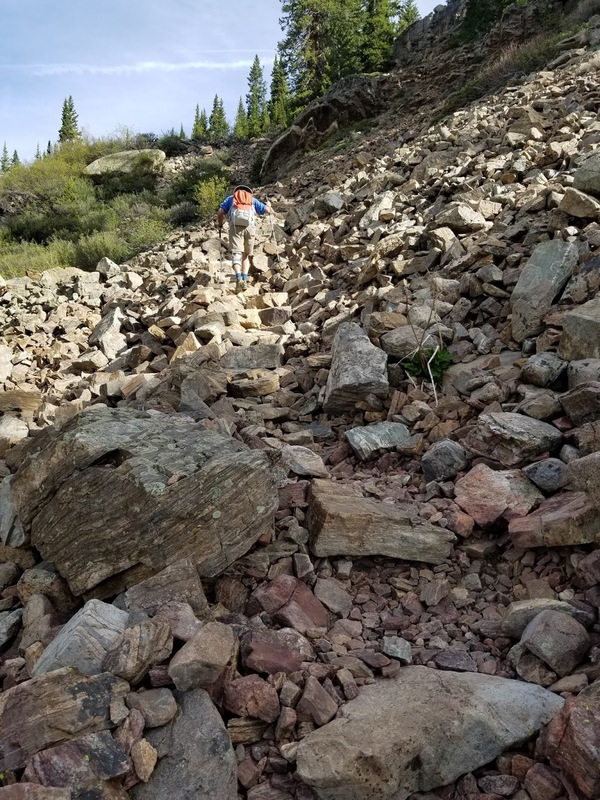 This rock staircase took some time and had several twists and turns as we gained nearly 600 feet through the rocks. 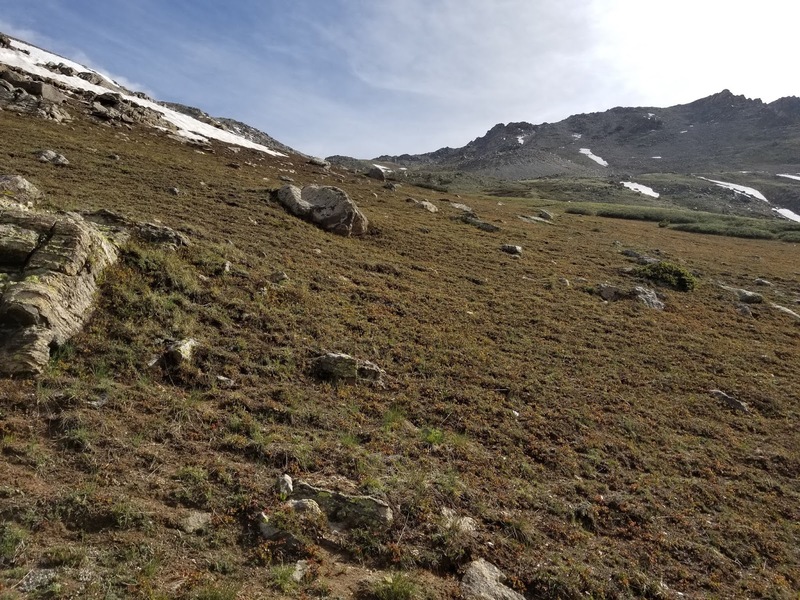 When it finally relented the trail became more of a standard look of dirt trail through mountain tundra and grass. There were a few patches of short maroonish red wildflowers. 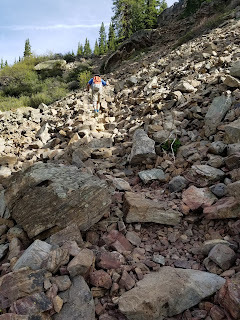 At about 2.1 miles in we encountered what many route descriptions call the "rock pile". 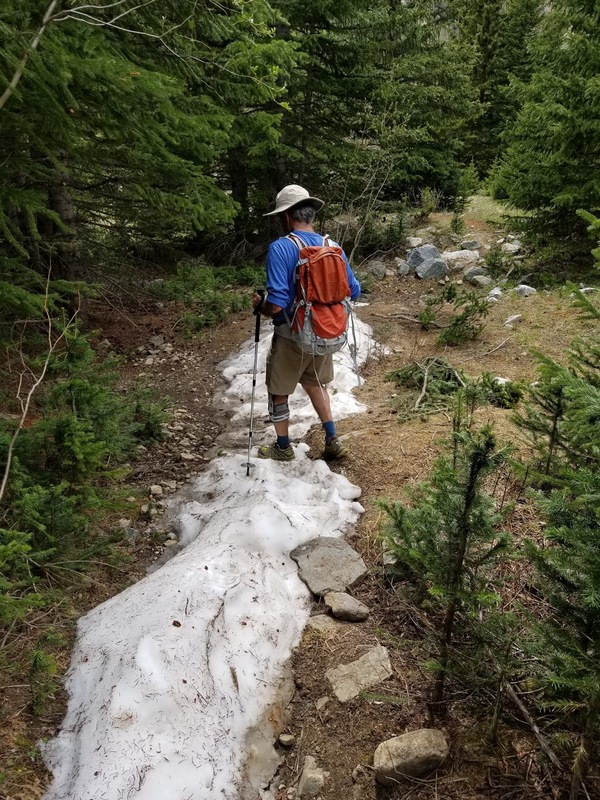 We encountered our first key snow patch blocking trail at this point but it was easily navigable. 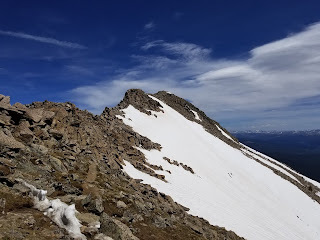 Above the rock pile we encountered the largest of the snowfields blocking trail at 12,600 but it was at a very low-angle and easily, and safely, crossable. Even on our descent we were thankful to find no post-holing here with careful steps. 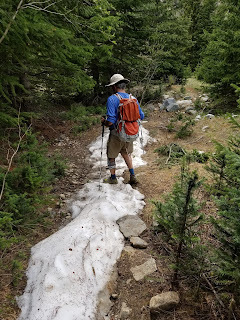 The trail switches back and forth up until around 13,300 where we encountered the most difficult snow patch of the day next to a rock outcropping. This was at a higher angle and potentially dangerous with a fall but the steps were kicked in nicely and with some attention and care pretty safely navigable. 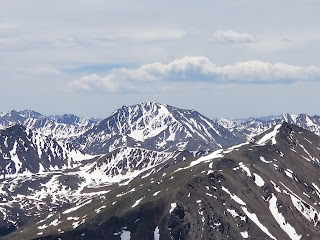 A few large sweeping switchbacks brought us up near to the summit right at about 14,000 feet. Above us were a pair of rock towers that really caught the eye. We were thankful they were not on route. Left: snow at the "rock pile"
Above 14,000, the route begins to navigate eastward around some of the difficult terrain that first greets you and keeps things at a reasonable class 2. 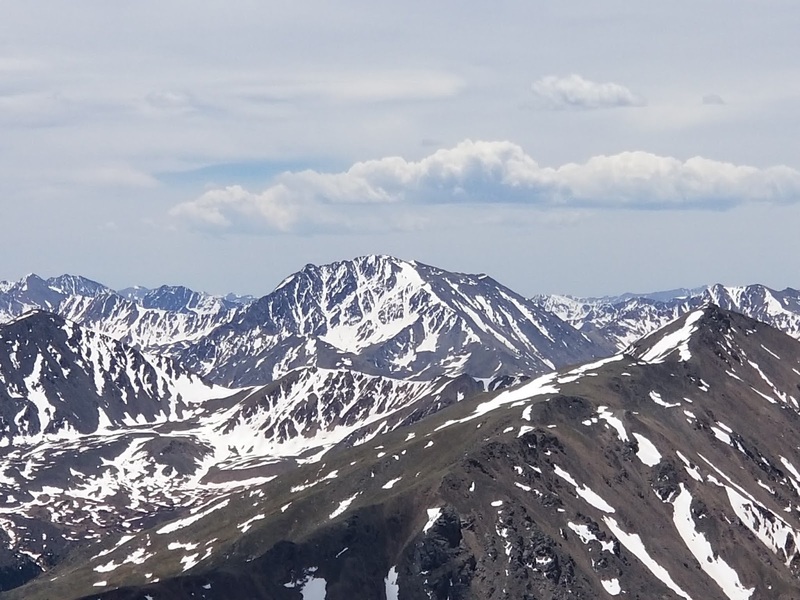 We began to see the east slopes route below us as the views to the east opened up. 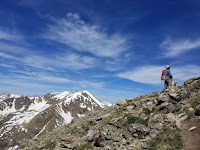 I also scouted out the route options over to South Massive as a possibility this day or another day. 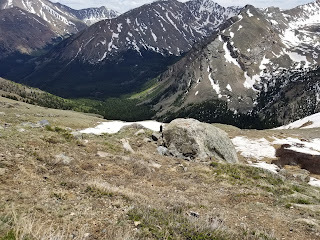 I found that from the southwest slopes route there are really no great shortcuts over to South Massive though it appears so tantalizingly close on the map. 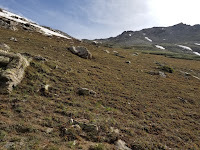 We encountered the junction with the east slopes route and had our first view of the remaining terrain. We were surprised how much snow remained. We had read recent conditions beta from other individuals who said the route was not impacted by snow at all. What we saw before us seemed to argue with that assessment. 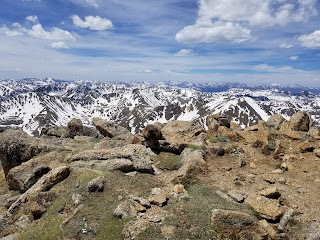 We encountered a couple coming down from the summit who had just gone through it all and they corrected our initial misjudgments and gave us the good news. 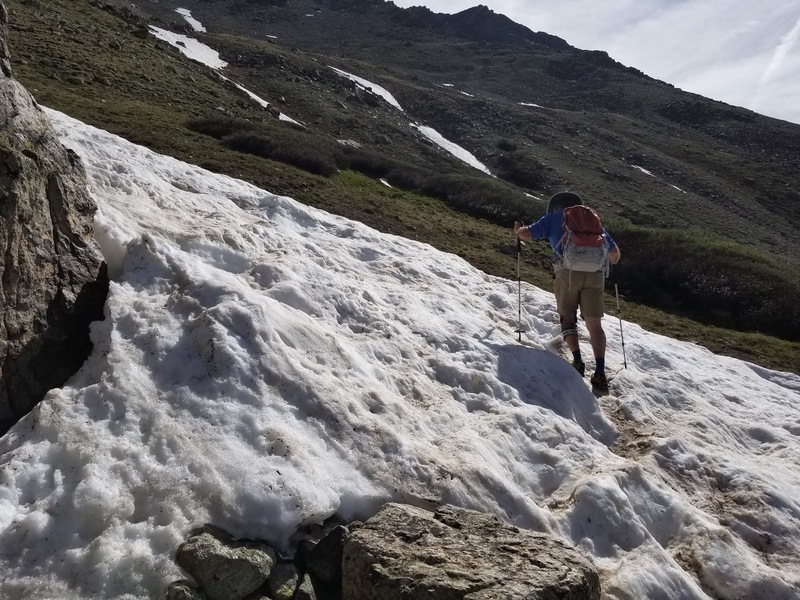 The snow was all slightly below route and could be easily missed by following rock above it. 360 Photo taken from just south of the junction on Massive's summit ridge, 14,300ft. 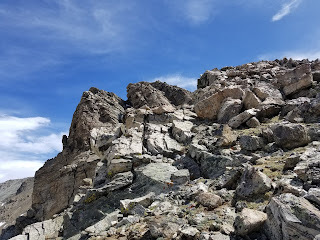 So we made our way forward together and followed what route we could find through the rock near the crest of the ridge. 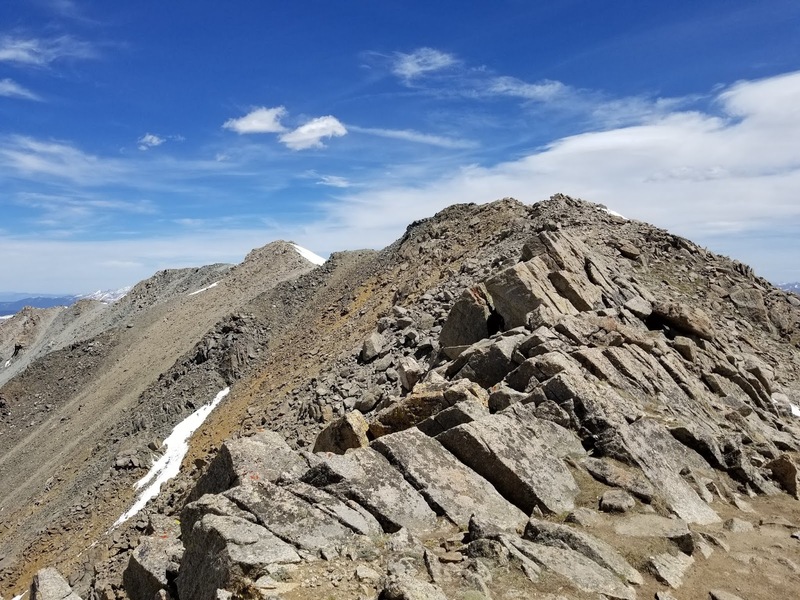 The finish to Massive was typical to the finishes of another Sawatch 14ers like Yale and Harvard which involve some basic scrambling but nothing technical. The exposure remained very minimal. 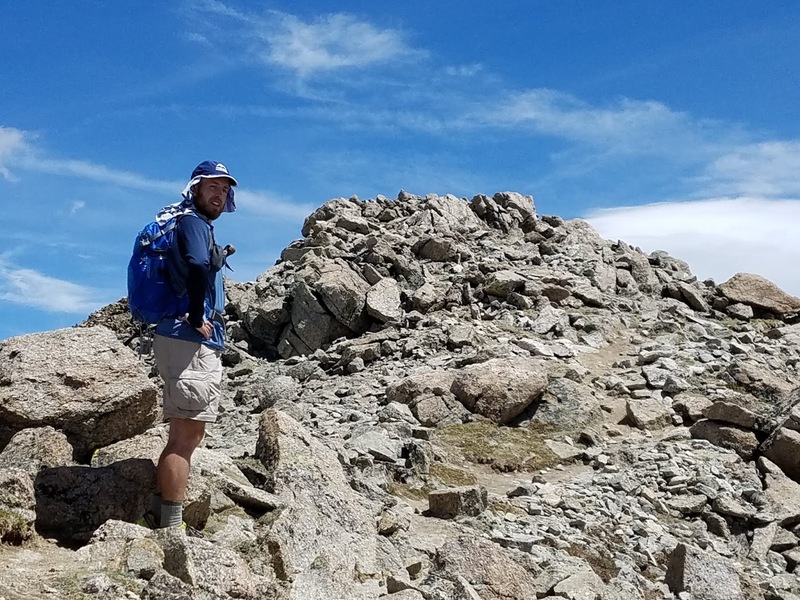 We were able to summit at 11:56am making for a 4:22 ascent. 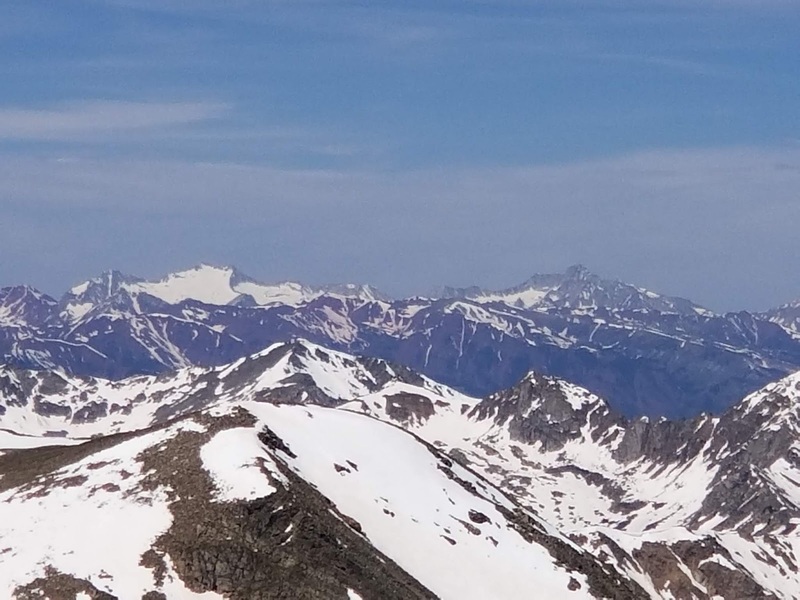 We were the only ones on the summit for about a minute when two more single hikers joined us. One was clearly an ultrarunner with minimal pack who must have trotted quickly up and down the east slopes route. The couple we had met earlier had also ascended the east slope route but talked of descending the southwest slope route. 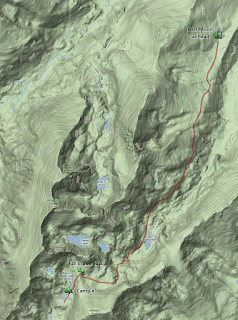 I think that would make for a wonderful basic traverse hike of Massive and enjoyable if you know the routes. The two mile hike down the road at the end would hardly be an issue. After nearly a half hour on top enjoying all the views we began the descent. Dad graciously offered to let me head over to South Massive if I wanted but I decided to save it for another day. 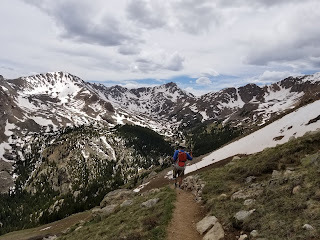 I wanted reasonably fresh legs for tomorrow's goals (Yale Traverse) and wasn't too intrigued about the hike over there and the retracing of steps all the way back to the junction. I think South Massive would be much easier from the east slopes route. The descent was mostly uneventful. 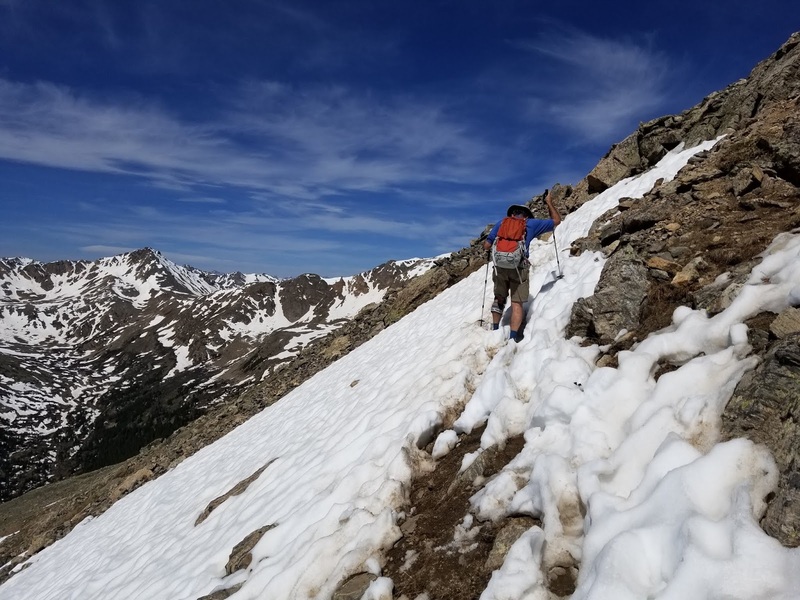 The upper route was very easy to retrace all of our steps and the slushier snow in the afternoon sun still didn't present any problems. With my father's aging knees we took our time on everything, especially in the rock staircase near the bottom of the southwest slopes route. It was a relief to hit the lower junction with the North Halfmoon Creek trail and know it was all easy trail to the finish. When we were back below treeline into the woods, we took note of the very heavy flow that Halfmoon Creek had at this point. 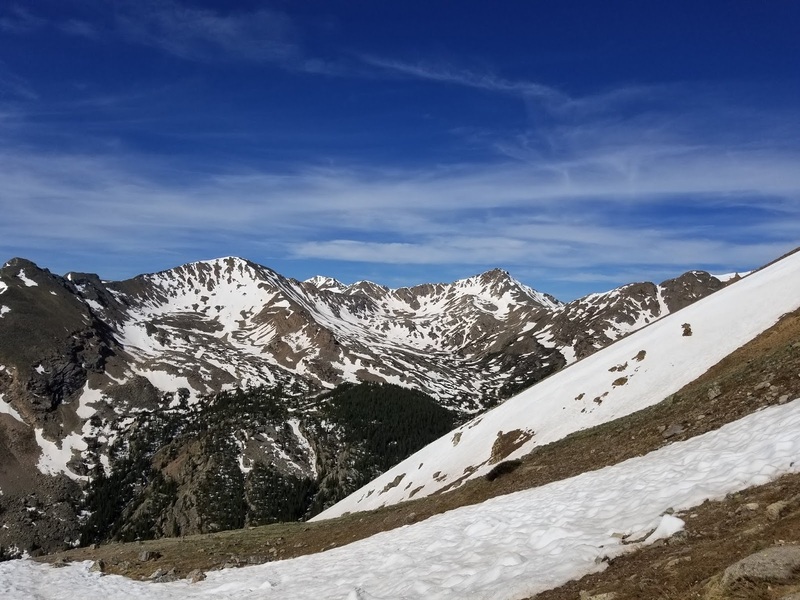 Plenty of good snow melt to be sure. 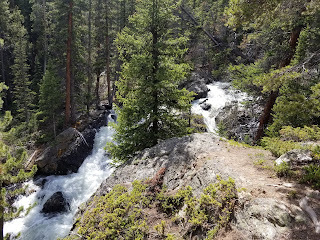 At about a 1/4 mile from the trailhead we heard rushing water and could see a small section of water falls. I marked this on the KML/Map below and we snapped some pictures. It was well worth checking out for a quick look and a reminder of the awesome power and grandeur of water. We hit trailhead at 3:56pm for a 3:33 descent. We noted how the calves felt so worn from all the climbing today and what a steep route this turned out to be. It was never really exposed nor did it take much of any scrambling but it was a very constant gain of elevation from the junction on upward. It did make for a nice alternative to the east slopes on Massive. 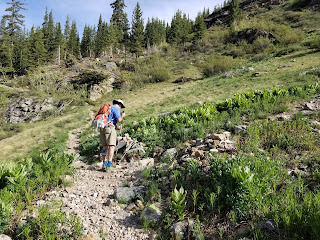 We were so impressed with the trail quality and build we were very curious what made the east slope route the standard route when this one was very bit as a reasonable route. One wonders who decides such things? Depending on one's flavor and particular abilities, either of these routes on Massive would make a great return trip. 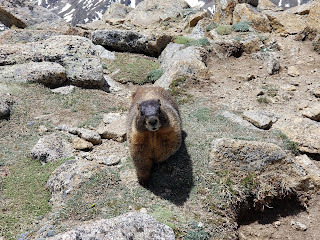 A well fed marmot tried to come home with us.